Per the NFL Network's Ian Rapoport, the Patriots recently put quarterback prospect Mason Rudolph through a private workout. Rudolph, widely regarded as a potential first-rounder, put up gaudy stats last year at Oklahoma State and has impressed scouts with his toughness and deep accuracy. 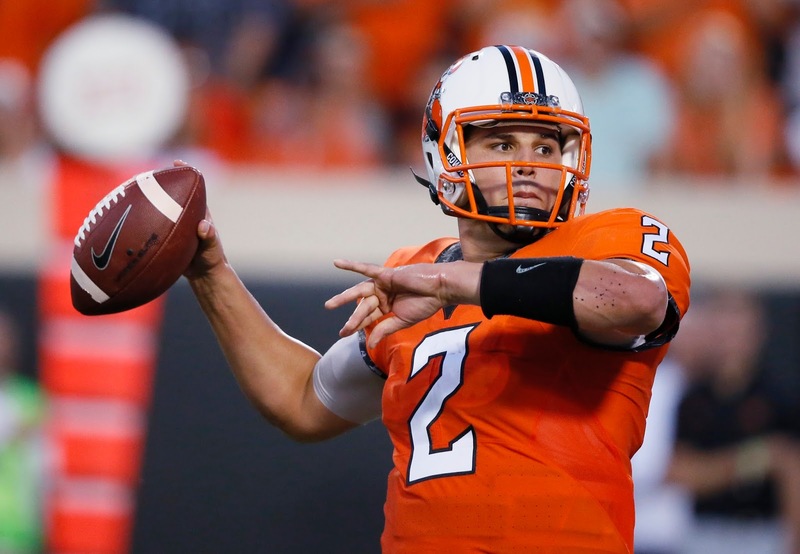 Of note for the #Patriots, who now have 2 first-round picks: They recently had a private workout with #OKState QB Mason Rudolph, touted WR James Washington, and others. A source at the school describes Rudolph, likely first-rounder, as extremely busy with meetings and workouts. Rudolph should be on the board when the Pats pick at 23 and 31 overall, and picking him would fill a major need to find Tom Brady's successor. If Bill Belichick doesn't want to invest resources and trade up into the top 12, Rudolph would still be a quality selection and would allow him to plug other holes across the roster.